Why would anybody not rejoice today if they truly are in the hands of Jesus Christ? Many think they are but they do not have the knowledge, understanding and wisdom of Bible truth. We will look today at what Jesus says about rejoicing to edify this precious truth. chaírō, khah'-ee-ro; (G5463)a primary verb; to be "cheer"ful, i.e. calmly happy or well-off; impersonally, especially as salutation (on meeting or parting), be well:—farewell, be glad, God speed, greeting, hail, joy(- fully), rejoice. We will now look at when, why and how Jesus used "rejoice" in the New Testament. Rejoice today if you have repented! 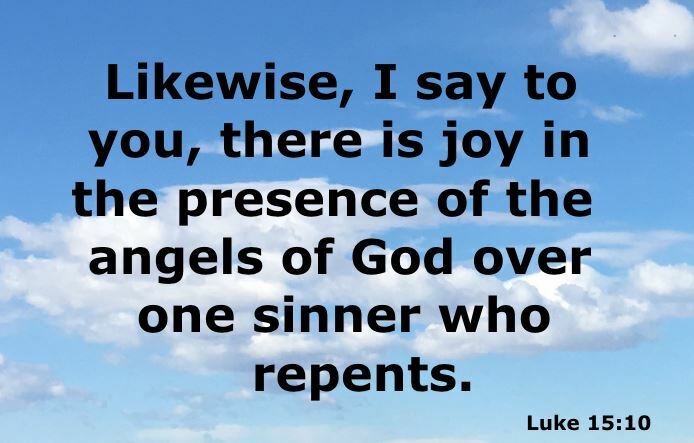 If you have repented and have fully turned to Jesus Christ, rejoice today! Rejoice today if you have the Holy Ghost! But the Comforter, which is the Holy Ghost, whom the Father will send in my name, he shall teach you all things, and bring all things to your remembrance, whatsoever I have said unto you. Peace I leave with you, my peace I give unto you: not as the world giveth, give I unto you. Let not your heart be troubled, neither let it be afraid. Ye have heard how I said unto you, I go away, and come again unto you. 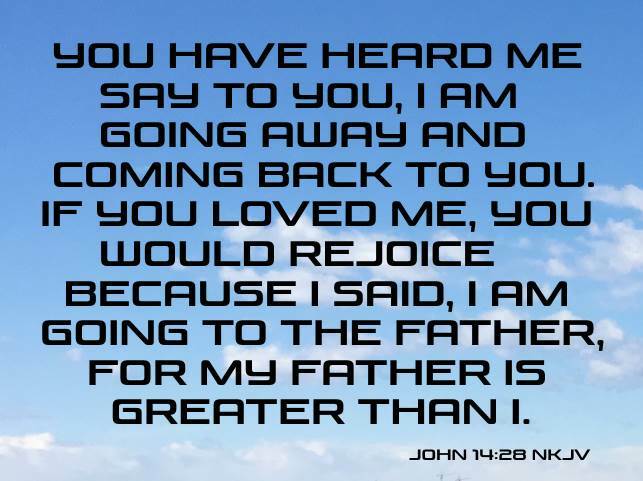 If ye loved me, ye would rejoice, because I said, I go unto the Father: for my Father is greater than I (John 14:26-28). In the last day, that great day of the feast, Jesus stood and cried, saying, If any man thirst, let him come unto me, and drink. He that believeth on me, as the scripture hath said, out of his belly shall flow rivers of living water (John 7:37,38). But this spake he of the Spirit, which they that believe on him should receive: for the Holy Ghost was not yet given; because that Jesus was not yet glorified (John 7:39). He that believeth and is baptized shall be saved; but he that believeth not shall be damned. And these signs shall follow them that believe; In my name shall they cast out devils; they shall speak with new tongues (Mark 16:16,17). Rejoice today if you have been baptized and filled with the Holy Ghost with the evidence of speaking in tongues. 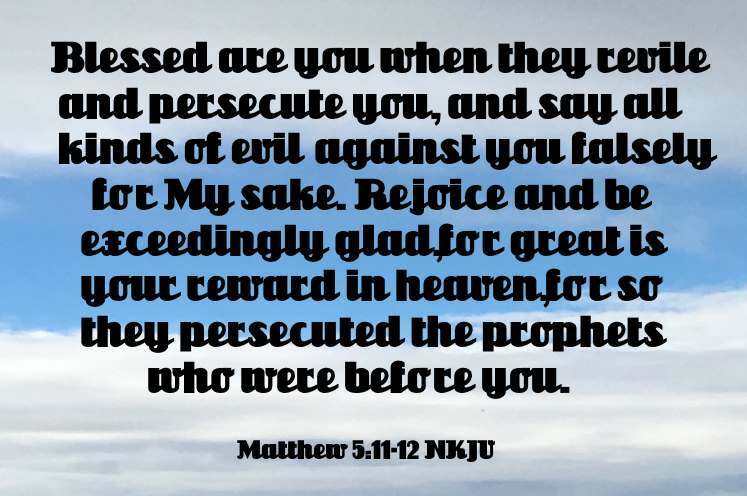 Rejoice today if you are persecuted for Jesus' sake! Blessed are ye, when men shall revile you, and persecute you, and shall say all manner of evil against you falsely, for my sake. Rejoice, and be exceeding glad: for great is your reward in heaven: for so persecuted they the prophets which were before you (Matthew 5:11-12). When we obey the Gospel of Jesus Christ we will be persecuted. If you are persecuted for being a born again, baptized in Jesus' name, Holy Ghost filled, tongue talking Christian, rejoice today. Rejoice today if you are being purged to bring forth fruit! Every branch in me that beareth not fruit he taketh away: and every branch that beareth fruit, he purgeth it, that it may bring forth more fruit. (John 15:2). These things have I spoken unto you, that my joy might remain in you, and that your joy might be full (John 15:11). For whom the Lord loveth he chasteneth, and scourgeth every son whom he receiveth (Hebrews 12:6). Rejoice today if your name is written in heaven! And the seventy returned again with joy, saying, Lord, even the devils are subject unto us through thy name. And he said unto them, I beheld Satan as lightning fall from heaven. Behold, I give unto you power to tread on serpents and scorpions, and over all the power of the enemy: and nothing shall by any means hurt you. 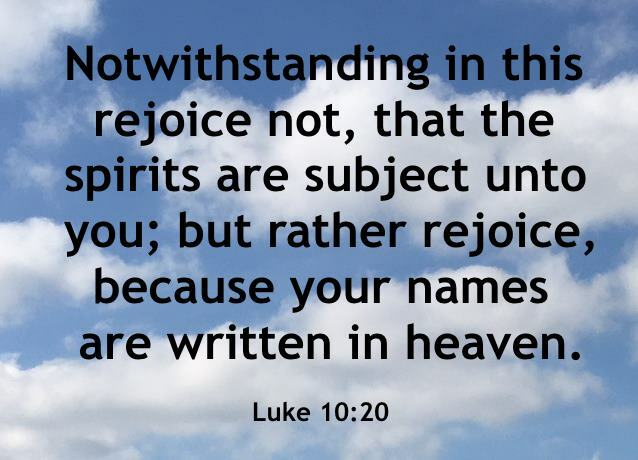 Notwithstanding in this rejoice not, that the spirits are subject unto you; but rather rejoice, because your names are written in heaven (Luke 10:17-20). But ye are come unto mount Sion, and unto the city of the living God, the heavenly Jerusalem, and to an innumerable company of angels, To the general assembly and church of the firstborn, which are written in heaven, and to God the Judge of all, and to the spirits of just men made perfect, (Hebrews 12:22,23). Oh hallelujah, rejoice today if your name is written in heaven.